This monograph has two aims: first, to identify specific processes of the reversal phenomenon by using a developmental approach. Second, to use ambiguous figures as a research tool to shed more light onto children's developing understanding of pictorial representation. Marina C.Wimmer is a lecturer in Psychology at the University of Plymouth (England). Her research focuses on children’s cognitive development in several domains: false memories, mental imagery, perception and conception of ambiguous figures, and pictorial representations. Her current research explores how mental imagery develops in children and how that differs from adults. Martin J. Doherty is a lecturer at the University of Stirling, Scotland. His research focuses on the development of children’s understanding of representation. He recently published Theory of Mind: How Children Understand Others’ Thoughts and Feelings (2009, Psychology Press). II. STUDY 1FCONCEPTUAL UNDERSTANDING OF AMBIGUOUS FIGURES. III. STUDY 2FREVERSING AMBIGUOUS FIGURES. IV. STUDY 3FREVERSING AMBIGUOUS FIGURES AND EXECUTIVE FUNCTION. V. STUDY 4FREVERSING AMBIGUOUS FIGURES AND MENTAL IMAGERY. VI. 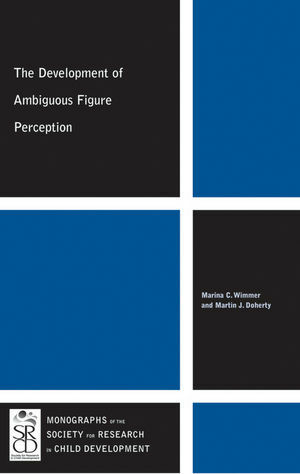 CONCEPTION AND PERCEPTION OF AMBIGUOUS FIGURES.